Ukraine in 2018 increased imports of citrus fruits by 27% compared with 2017, to 337,860 tonnes. According to customs statistics promulgated by the State Fiscal Service of Ukraine, in monetary terms imports of citrus fruits increased by 26%, to $216.3 million. At the same time, imports were mainly carried out from Turkey (56% in monetary terms), Egypt (14.5%), and Italy (5.7%, in 2017 Spain ranked third). In addition, in 2018 Ukraine imported 250,900 tonnes of bananas, which is 5% more than in 2017. In monetary terms, imports grew by almost 3%, to $144.3 million. The largest importers of bananas to Ukraine were Ecuador (47.8% of deliveries in monetary terms), Costa Rica (33%), and Colombia (6.64%). 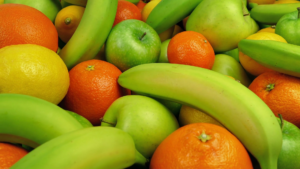 Exports of citrus fruits from Ukraine in 2018 amounted to 411 tonnes, bananas some 28 tonnes.